Recombinant fragment corresponding to Human POLR3A aa 607-698. WB: PC3 and MCF7 whole cell lysates. 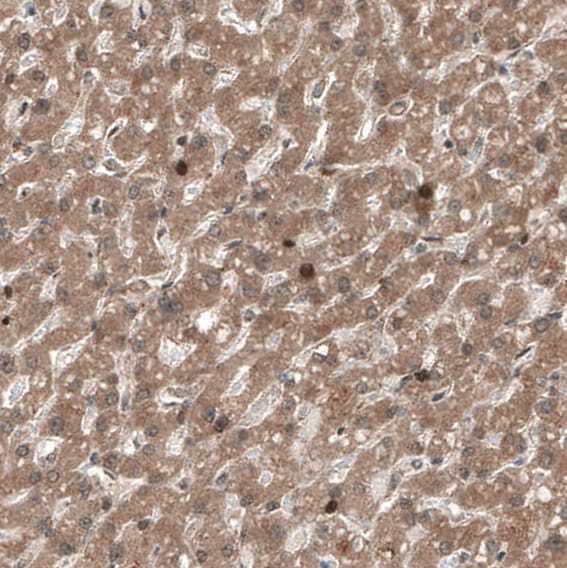 IHC-P: Human cerebral cortex, testis, placenta and liver tissue. ICC/IF: U-2 OS cells. Our Abpromise guarantee covers the use of ab247007 in the following tested applications. IHC-P 1/200 - 1/500. Perform heat mediated antigen retrieval with citrate buffer pH 6 before commencing with IHC staining protocol. WB Use a concentration of 0.4 µg/ml. Predicted molecular weight: 156 kDa. DNA-dependent RNA polymerase catalyzes the transcription of DNA into RNA using the four ribonucleoside triphosphates as substrates. Largest and catalytic core component of RNA polymerase III which synthesizes small RNAs, such as 5S rRNA and tRNAs. Forms the polymerase active center together with the second largest subunit. A single-stranded DNA template strand of the promoter is positioned within the central active site cleft of Pol III. A bridging helix emanates from RPC1 and crosses the cleft near the catalytic site and is thought to promote translocation of Pol III by acting as a ratchet that moves the RNA-DNA hybrid through the active site by switching from straight to bent conformations at each step of nucleotide addition (By similarity). Plays a key role in sensing and limiting infection by intracellular bacteria and DNA viruses. Acts as nuclear and cytosolic DNA sensor involved in innate immune response. Can sense non-self dsDNA that serves as template for transcription into dsRNA. The non-self RNA polymerase III transcripts, such as Epstein-Barr virus-encoded RNAs (EBERs) induce type I interferon and NF- Kappa-B through the RIG-I pathway. Expressed in the brain, in the cortex and the white matter (at protein level). 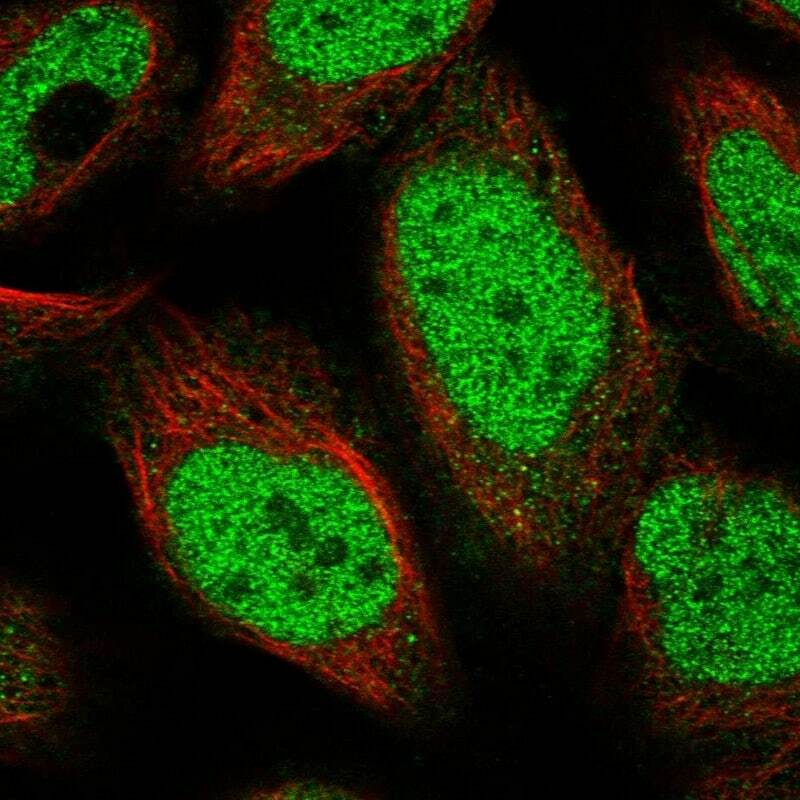 PFA-fixed, Triton X-100 permeabilized U-2 OS (human bone osteosarcoma epithelial cell line) cells stained for POLR3A (green) using ab247007 at 4 μg/ml in ICC/IF. 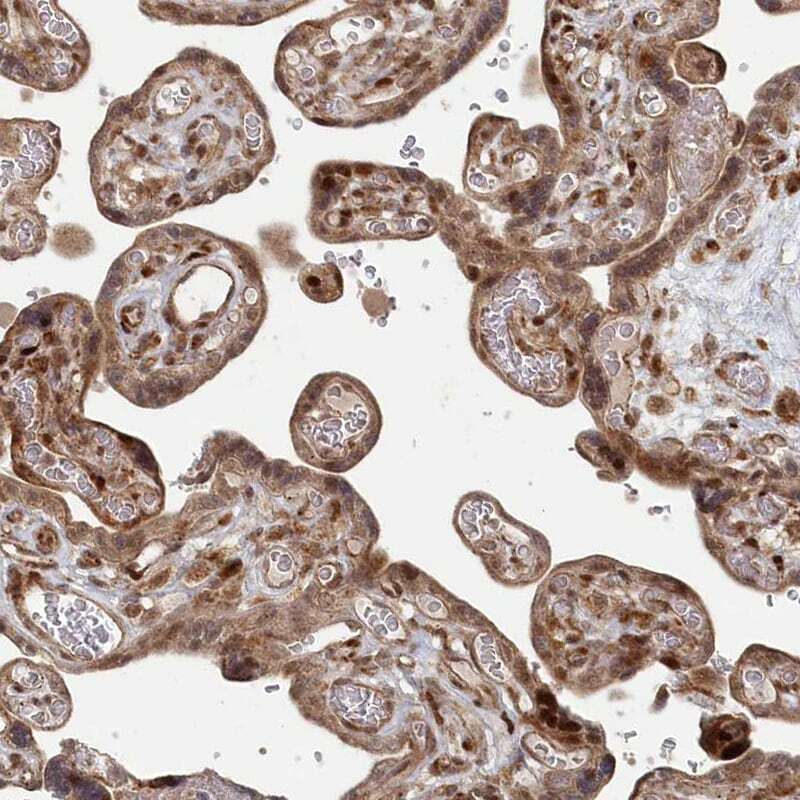 Paraffin-embedded human liver tissue stained for POLR3A using ab247007 at 1/200 dilution in immunohistochemical analysis. Paraffin-embedded human placenta tissue stained for POLR3A using ab247007 at 1/200 dilution in immunohistochemical analysis. 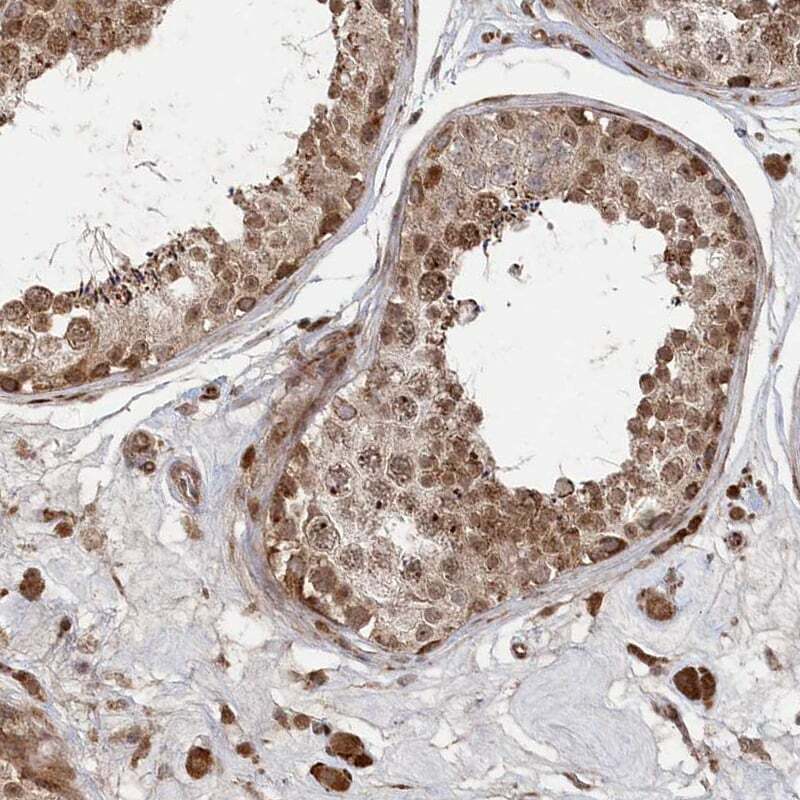 Paraffin-embedded human testis tissue stained for POLR3A using ab247007 at 1/200 dilution in immunohistochemical analysis. 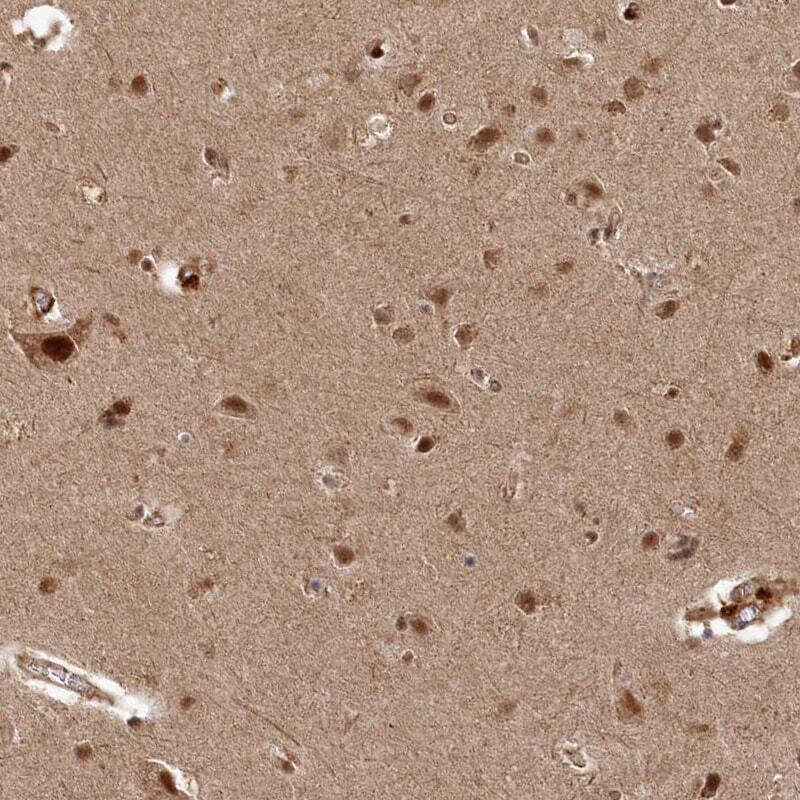 Paraffin-embedded human cerebral cortex tissue stained for POLR3A using ab247007 at 1/200 dilution in immunohistochemical analysis. 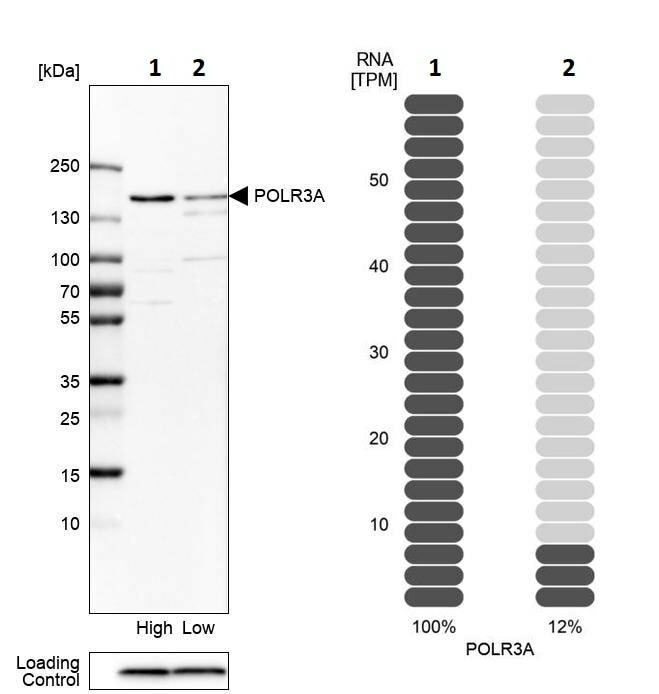 Corresponding POLR3A RNA-seq data are presented for the same cell lines. Loading control: Anti-COX4I1. ab247007 has not yet been referenced specifically in any publications. Publishing research using ab247007? Please let us know so that we can cite the reference in this datasheet. There are currently no Customer reviews or Questions for ab247007.